This article is meant to provide you with details on the General Tab in Organizational Preferences. If your agency has a Foster Care module in extendedReach as well, the two will be linked together in this section. 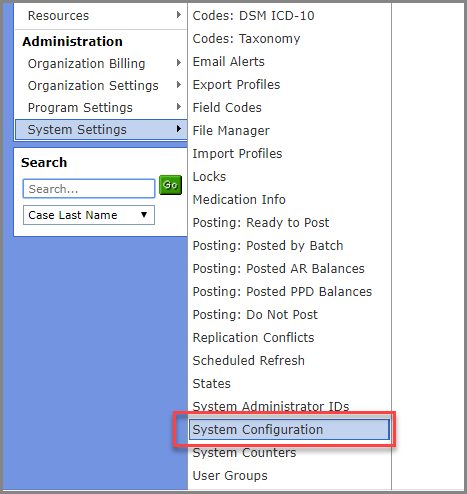 This enables caseworkers to work in both modules and transfer cases. extendedReach staff will link the modules together – the information in these fields do not need to be modified by anyone at the agency. Use the Custom Side Menu field to add links to the side menu on the main workspace screen under Custom. Use the format “title | URL” to add links. 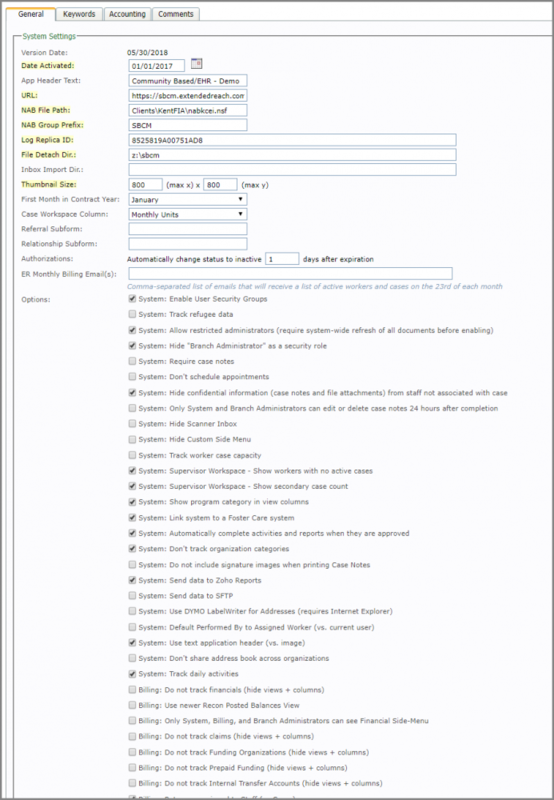 Revision tracking allows users to track specific changes made to a case via the Case File. This could be client name changes, address change, caseworker change, rate change, etc. Use the format “group-title | field-title | field-name | prompt for date”. For the Prompt for Date field, enter in a 1 if you want to track the date the change was made; if you do not want to track the date of the change, enter in a 0.